I understand this item only ships to addresses in the USA. Processing time before shipping is 2-7 business days. 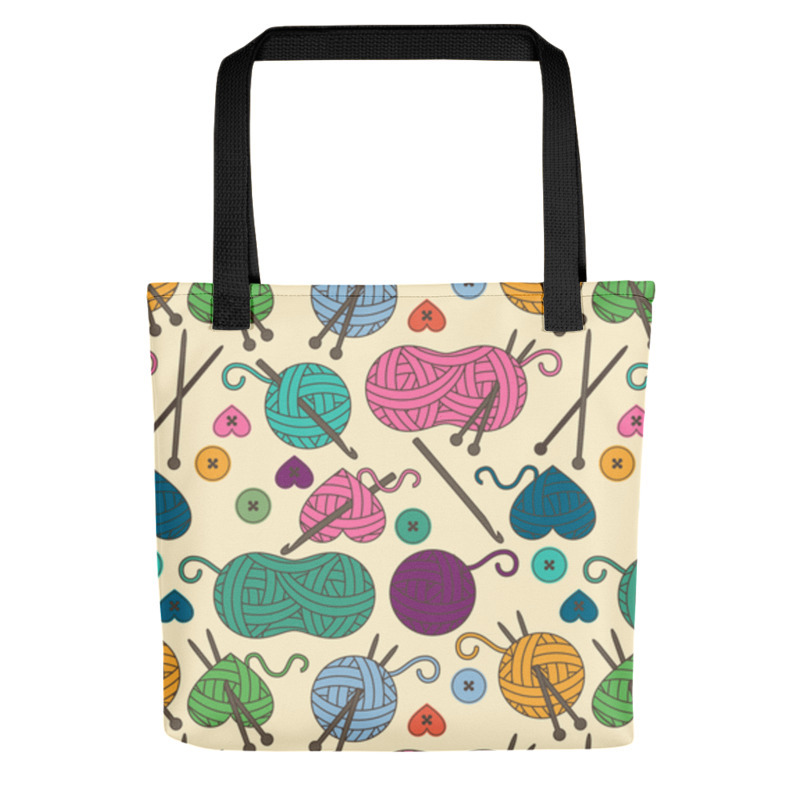 A great gift for anyone who loves to knit. A spacious and trendy tote bag to help you carry your knitting or crochet projects and tools. 12 designs to choose from. Each design has its own store listing. All designs are printed directly on the merchandise and require approximately 2-7 business days processing time before shipping. The designs are not vinyl decals. 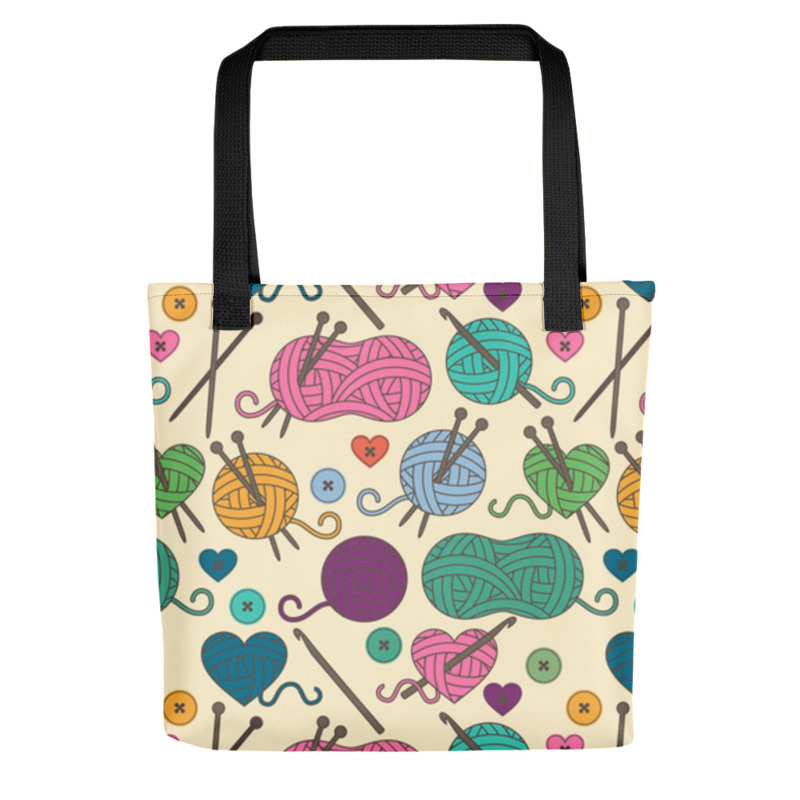 These knitting tote bags are only available to ship domestically, to addresses in the USA. We're sorry, no International orders on this item, thank you. 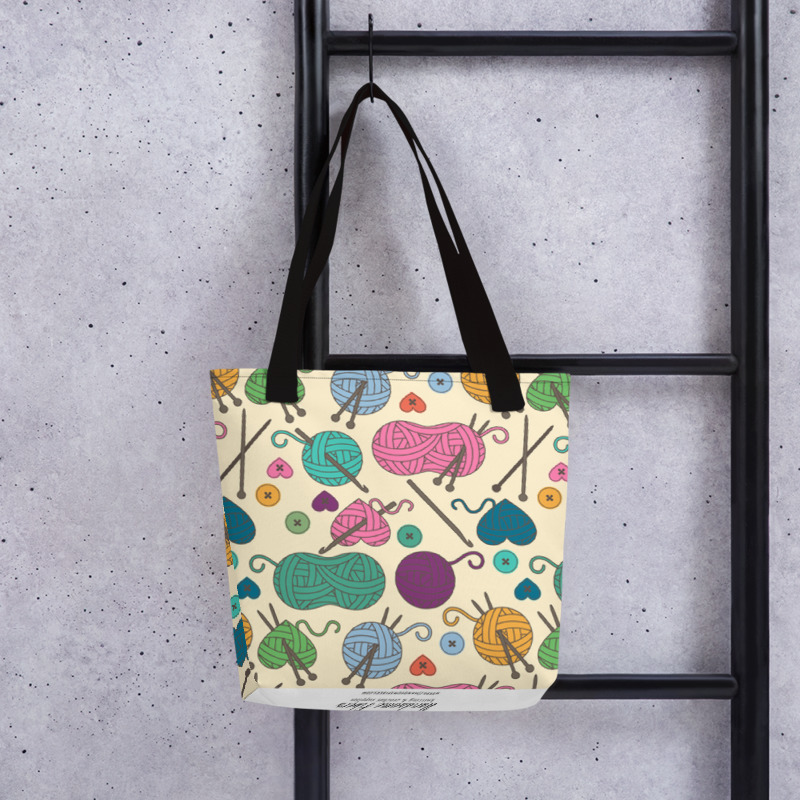 These tote bags are shipped to you from a print shop. They will arrive separately from any other knitting or crochet supplies you purchase from us on our website. Please contact us prior to ordering with any questions. Thank you!